It's prime beet season and the earthy (and incredibly affordable!) jewels are everywhere. 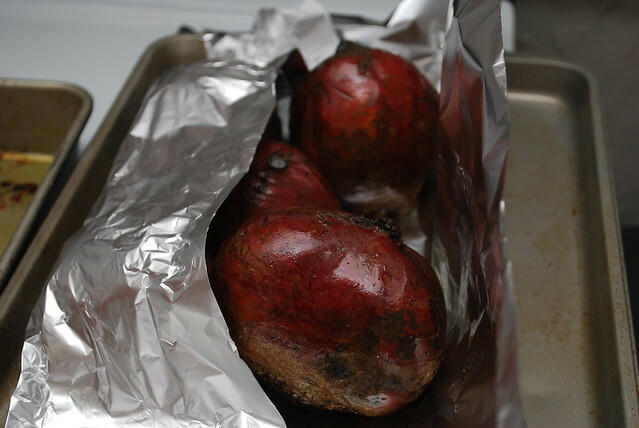 While beets can be prepared in any manner of ways, my absolute favorite way is to roast them. 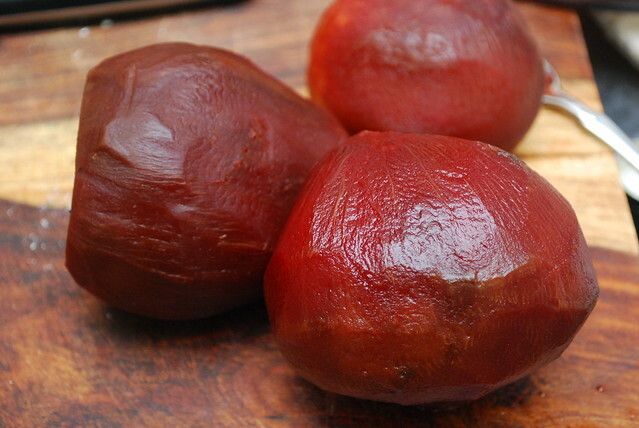 Unlike boiling, which tends to wash them out, roasting preserves the gorgeous natural colors, keeps the tenderness intact, and deepens and enhances it's characteristic earthy sweetness. 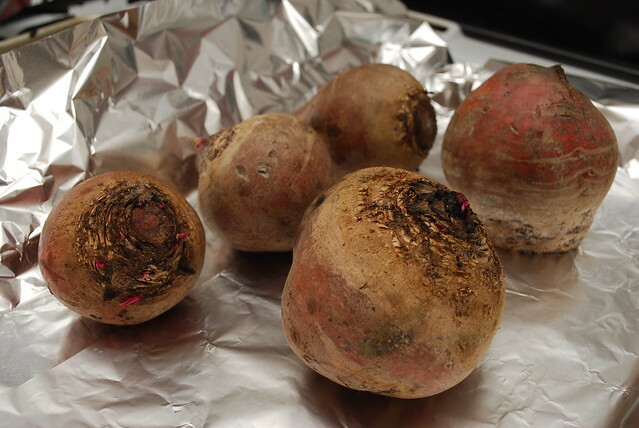 The bonus is that roasted beets can be prepared in a large batch all at once, then stored in the fridge for a bevy of uses over the coming week. Think sliced into salads, paired with tangy goat cheese as an appetizer, sauteed in hot herbed butter, mashed into ravioli filling, or (my favorite) pureed and baked into chocolate cake. 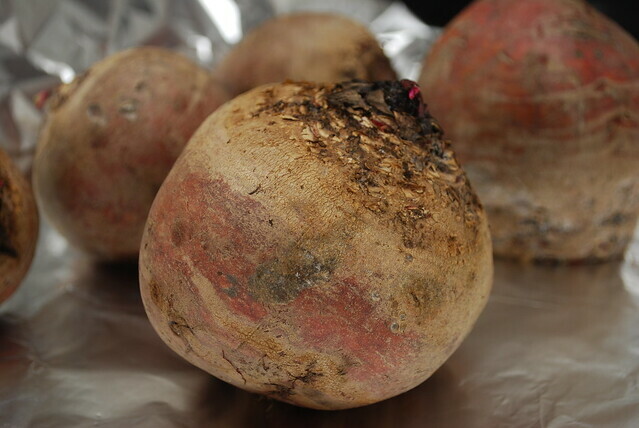 Roasted beets are in fact so versatile that they're actually sold that way at the grocery store, but there is no need to spend extra bucks to have someone do the work. 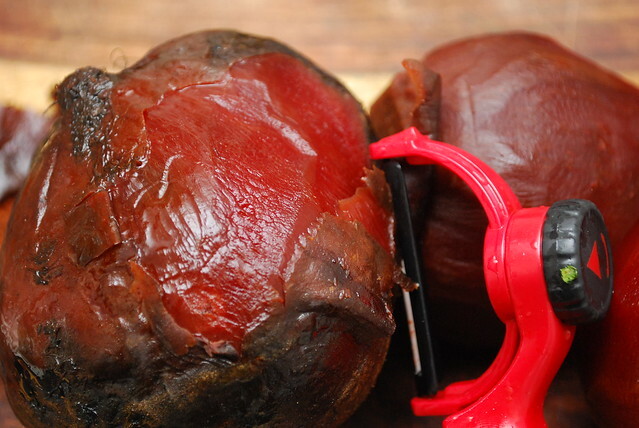 With just a few quick steps, you can learn to roast a perfect beet every single time. Clean and prepare your beets by cutting off any beet greens (reserve these as they can be sauteed or boiled and eaten separately). Rinse under cold water, scrubbing slightly to remove any lose dirt. Pat dry. 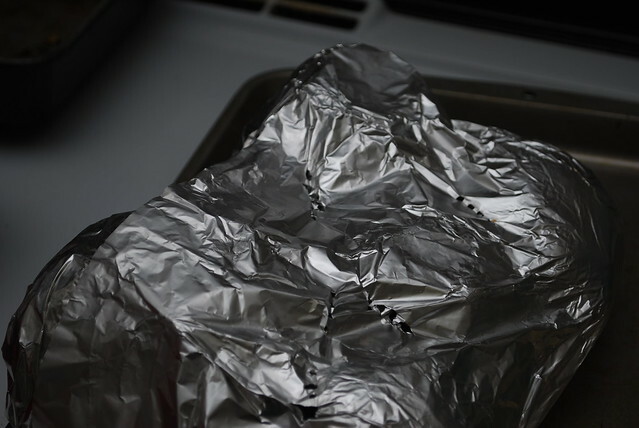 Line a cookie sheet with a large piece of aluminum foil. Position the cleaned and trimmed beets in the center. 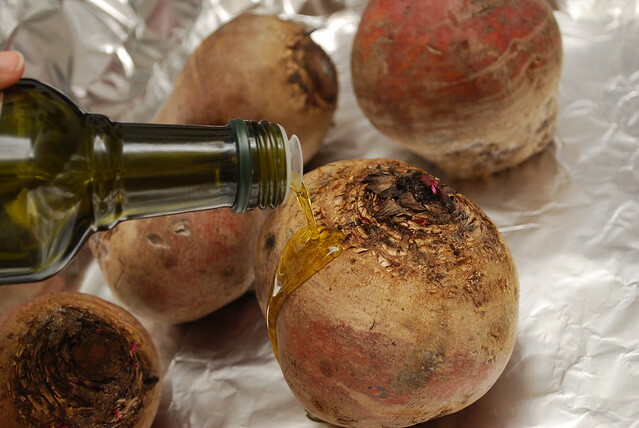 Drizzle olive, canola, or grapeseed oil over the beets and use your hands to rub it over the entire surface until completely coated. 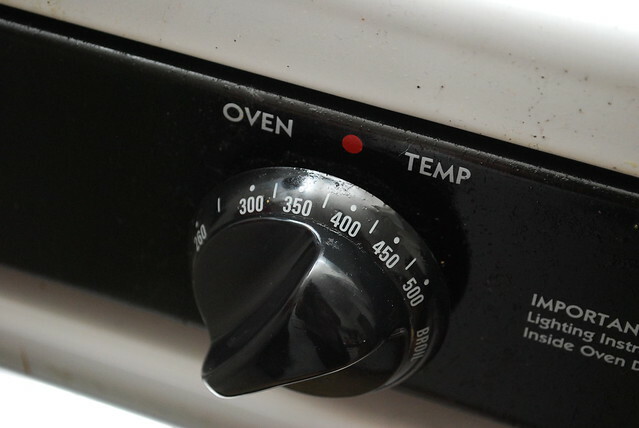 Place in the oven and roast for approximately 45 minutes. 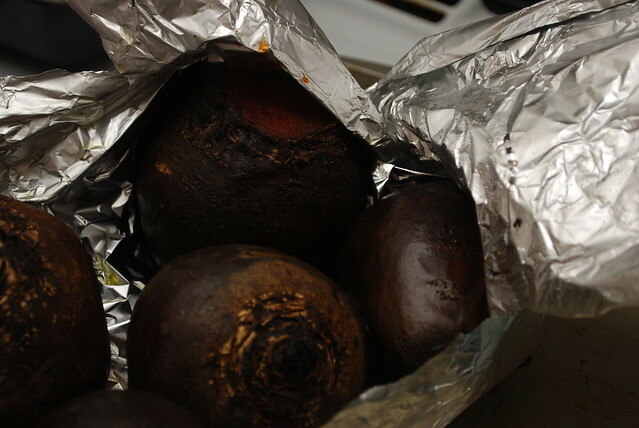 Use a fork to poke a few holes in the foil packet at this time to release steam, then return to the oven for another 15 to 20 minutes, depending on the size and age of your beets; smaller and younger ones will cook faster. 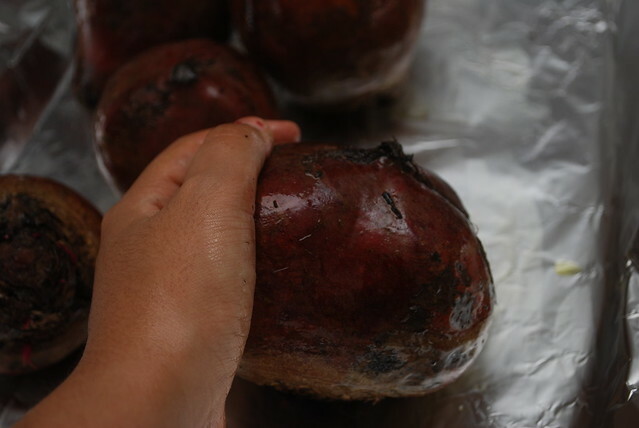 You can test for doneness by inserting the fork into the largest of the beets through the package; it should slide in cleanly with no resistance (the texture will be similar to that of a baked potato). Remove from the oven and open the foil package. Let cool for about 20 minutes until the beets are about room temperature and can be handled easily. Use a vegetable peeler to strip away the thin outer skin. 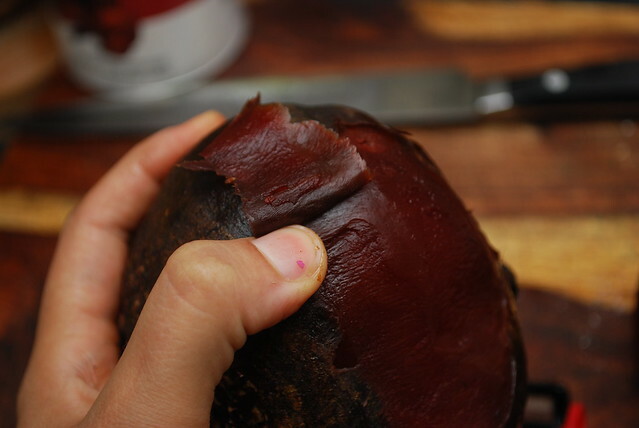 Depending on the age of your beets, you'll likely find that you can actually skip the peeler and just use your thumb to slide the skin off...it's that easy! Rinse quickly under cold water and pat dry. Actually, that's it! You can now slice the beets for use in salad recipes, puree, or simply pop into an airtight container or bag and store in the fridge for about a week. They can be eaten cold, at room temperature, or hot (feel free to saute or reheat). When storing, I like to tuck in a clean, dry paper towel to absorb any moisture and prevent molding.